Seasonal Programs combine skiing and riding instruction with camaraderie. Sections cater to those honing their skills in freestyle or race, or for those seeking all around riding experience. Programs are available for all ages! Seaosnal Programs are CLOSED for the rest of the 2018/19 season. Sign up for next year below! Waterville Valley JETS (“Junior Enrichment Through Sports”) is preparing for another year of snowsports fun and learning for local school kids in grades 1 through 8 attending SAU#48 schools in Campton, Thornton, Holderness, Plymouth, Wentworth, Rumney, Ashland and Waterville Valley. Contact Peter Weber at pweber@waterville.com. We offer instruction for fifteen weekends including some days during the Christmas holiday week and February vacation week. Programs are designed for kids 4 thru 16 years old, who already ski or snowboard, starting at the lower intermediate level. We offer different programs geared toward certain age groups and within those groups, we might have different groups based on skill development and intensity level. Kids meet at the Junior Seasonal building by the Lower Meadows chairlift. A program for 4–5yr. old skiers with a focus on mountain safety, developing fundamental skills and lots of indoor & outdoor fun! Kids must be able to ski lower intermediate terrain, like Valley Run, on their own. A program designed for intermediate or above skiers, 6–12yrs. old. Offering alpine groups with options to telemark. Groups focus on honing the skills of being an all-mountain, all-condition skier. Drills and exercises compliment ever developing skills, while exploring as much of the mountain as those skills allow, including bumps, glades and an occasional run through our Nastar course. Options to try other snowsport disciplines will be offered throughout the season. Multiple groups will be formed on the basis of age, ability & intensity. A specialized group for 9–15yrs. old skiers who want to learn the fundamentals of freestyle along with solid all mountain skiing. Ski the glades and bumps, but also learn the basics of freestyle moves and how to safely apply them in our smallest parks. This group will have a limited number of participants and must meet an ability standard. A program designed for teens, 13–16yrs. old, who are able to ski or ride all of Waterville Valley's terrain. Skiers, telemarkers and riders are together in a social atmosphere with all of their time on snow. Activities will be varied and take advantage of all the mountain challenges and conditions. Expect to explore every nook and cranny, hit every bump and find new lines in the glades. Maybe an occasional park session or a friendly race through the Nastar course. A program designed for intermediate or above riders, 6–12yrs old. Offering snowboard groups. Groups focus on honing the skills of being an all-mountain, all-condition rider. Drills and exercises compliment ever developing skills, while exploring as much of the mountain as those skills allow, including our small terrain parks, bumps and glades. Options to try other snowsport disciplines will be offered throughout the season. Multiple groups will be formed on the basis of age, ability & intensity. A specialized group for 8–12yr. old skiers who have an interest in developing fundamental racing skills and drills along with solid, all-mountain skiing. Expect to ski the whole mountain, ski frequent NASTAR runs, do race drills, and learn race tactics. This program includes a NASTAR Season Pass. This group will have a limited number of participants and must meet an ability standard. Serious racers / competitors should consider the Waterville Valley BBTS program. Pre-competitive program designed for boys and girls 5–9yrs. old. This program meets at the WVBBTS building and is run jointly by Waterville Valley Snowsports and WVBBTS programs. For information on fees, club membership and dates go to wvbbts.org. To contact call (603) 236-4346 or email: cekirkwood@gmail.com. in need of more basic instruction and are not at the lower intermediate skill level yet. The Kamps feature age appropriate groups & activities and meet at Kids Kamps in the Base Lodge. 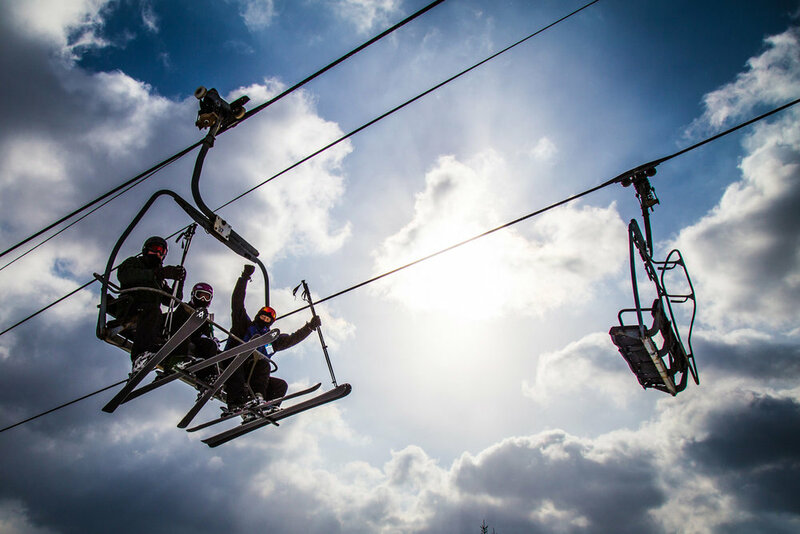 Participants must have valid season pass or valid lift ticket. Kamp programs include snacks and lunch. Junior Seasonal, Kids Kamp and Child Care seasonal programs start on December 14, 2019 and run through March 22, 2020 including these midweek holidays: December 26, 27, 30 and 31, 2019, January 20, 2020 (Martin Luther King Day) and February 17, 20–21, 2020. Lessons will be offered February 24, 27 and 28, 2020. Programs do not meet 12/23-25, 2019 + 1/1, 2020 Christmas Eve Day, Christmas Day, or New Year’s Day, or the Tuesday & Wednesday of February vacation week, February 18 & 19, 2020. Note: Ask the program supervisors for special seasonal participant price for days not offered under the seasonal price. Program pricing does not include lift ticket or rental equipment. Our Adult Seasonal Programs offer instruction for 14 weekends plus Christmas week. Groups are formed on the basis of skill and intensity level starting at the intermediate level. It's a great value and way to meet other people who enjoy skiing and sharing the mountain experience. The core of the program is highly social, with events and activities throughout the season. Lift line cutting privileges = more skiing! Adult Program groups meet at 9:15am near the White Peaks Quad, ski from 9:30am–12pm. Adult Seasonal programs meet weekends starting on December 21, 2019 and run through March 22, 2020 including these midweek holidays: December 26, 27, 30, + 31 2019, January 20, 2020 (Martin Luther King Day) and February 17, 2020. Program pricing does not include lift ticket or rental equipment. The longest running senior skiing program in the country! Join skiers 50 years young and over at Waterville Valley Resort every Monday thru Thursday, non-holiday*, for fun, friendship and fabulous skiing! Three ways to purchase: sign up online, fill out our downloadable application (link at top of page) and mail in or call (603) 236-8311 X3000 . Includes: Reserved parking area in Lot #1, Special 80+ year old parking*, Coffee & pastries in the Base Lodge, 8:30–10am, 10:30am warm up run with Waterville Valley Resort staff, Complimentary Snowsports clinics, Complimentary Ski storage during program dates, Après ski party every Wednesday, Free Resort Shuttle to Town Square & Nordic Center Banquets and other special events, Reduced price NASTAR every Wednesday, Nordic Streaks Program activities included, Drop in to ski with the Nordic Streaks Program! The Silver Streaks program begins December 9, 2019 and runs until March 19, 2020. The program does not meet December 23 - 26, 2019, January 20, 2020 or February 17 - 20, 2020. The Nordic Streaks Program will start as soon as trail conditions permit. Program pricing does not include lift ticket or rental equipment and all participants must purchase daily lift tickets or a Season Pass. *Need to be 80 years young by and registered for Silver Streaks by December 31, 2019.